Balance is headed back to Raleigh! North Carolina Democrats launched this cycle with one goal: break the Republican supermajority. We accomplished that in both chambers this week. Democrats were successful in a once Republican stronghold: the suburbs. These suburban voters largely went for Republicans just two years ago, and their shift signals a strong sign that Independents, moderate Republicans, and Democrats are turned off by today’s modern Republican party.NC Democrats broke the supermajority by flipping 10 “Trump districts” – state legislative seats that went for President Trump in 2016. That’s a monumental victory in an era of deep polarization. 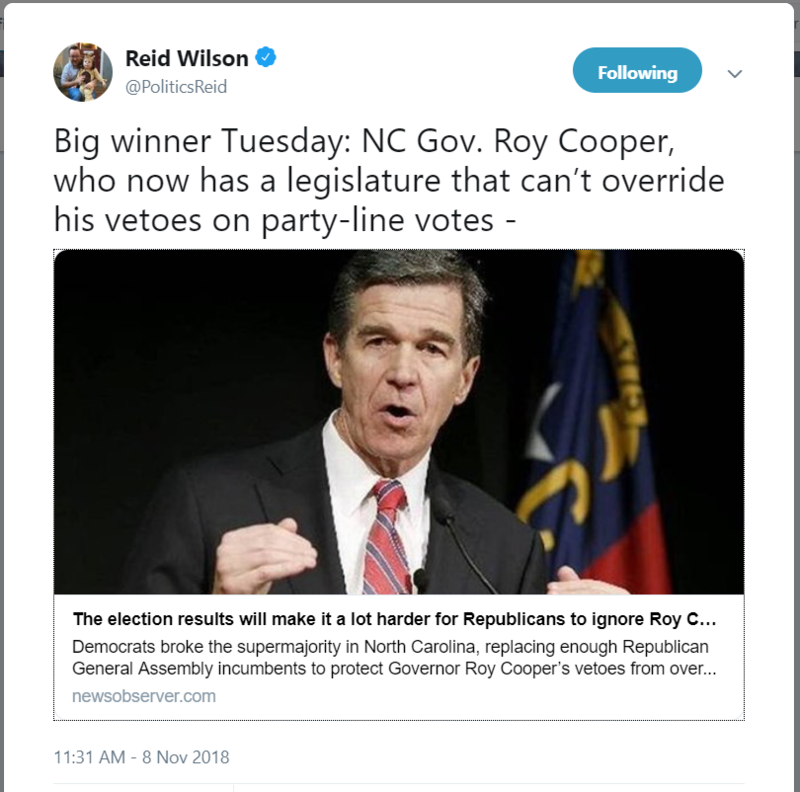 Governor Cooper got his veto back and the people of North Carolina got a stronger voice at the negotiating table for a government that will put expanding health care access, cleaning up our waterways, and raising teacher pay before corporate bottom lines. 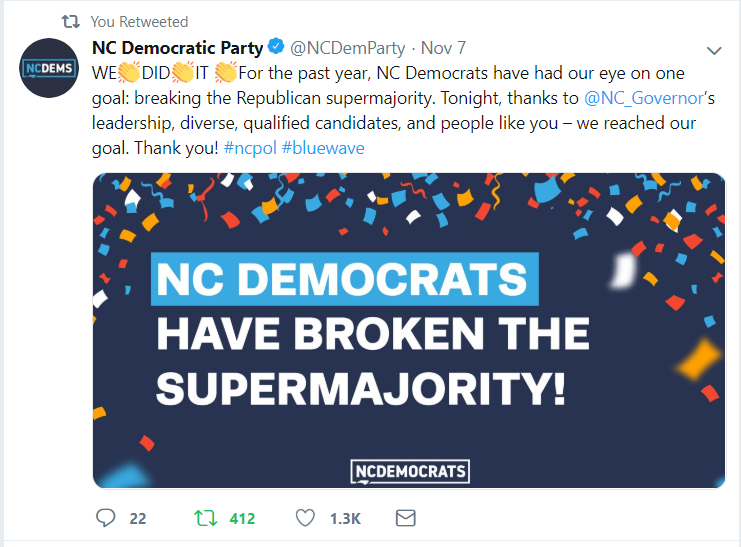 The first step to winning the supermajority was recruiting a slate of quality, diverse candidates from across North Carolina. NC Democrats are thrilled that these candidates are heading to Raleigh. North Carolina Democrats SWEPT statewide judicial races, a victory virtually unheard of during the era of partisan judicial elections. 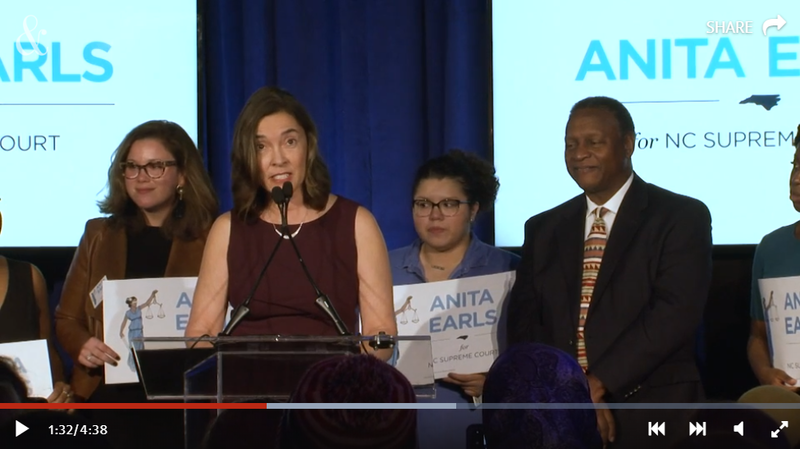 At the top was Anita Earls, whose message of a free and fair judiciary that rules without fear or favor resonated with voters across the state. 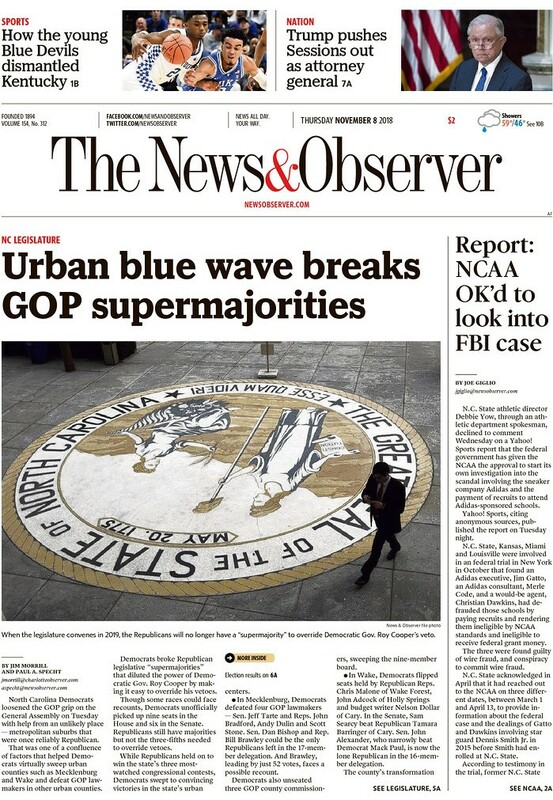 Anita’s decisive win gives North Carolina Democrats a 5-2 balance on the state’s highest court through 2022 and a crucial check on future Republican gerrymandering efforts. Democrats also swept the Court of Appeals races, electing Judge John Arrowood, Allegra Collins, and Toby Hampson. Arrowood’s victory was especially monumental, as Arrowood is now the first openly gay person elected to a statewide office in North Carolina – and the South. North Carolina voters elected new sheriffs across the state on Tuesday, signaling a steep shift in immigration policy. In particular, voters across North Carolina this week elected a black sheriff in all seven of the state’s largest counties, bringing a new level of prominence to minorities in law enforcement.These candidates rose to prominence because of a backlash to the harsh immigration policies from Republican elected officials. Many of these candidates objected to hardline immigration policies and appealed to voters who felt forgotten or afraid. A new coalition, upset with a deeply unpopular president and a Republican party that puts loyalty to that president above the people, drove the high turnout North Carolina experienced this midterm. 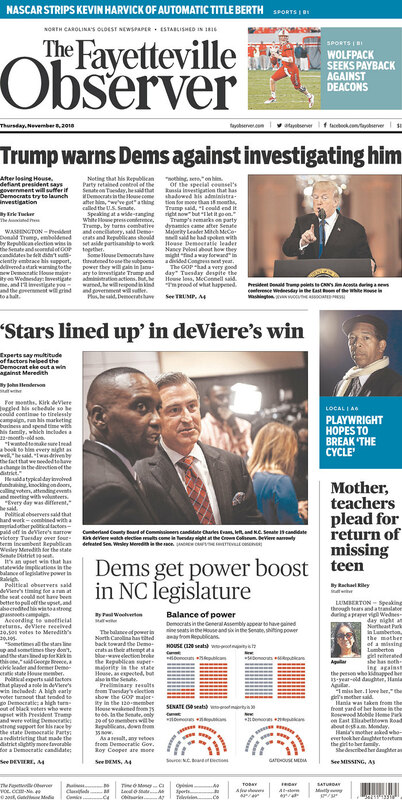 This governing majority is propelled by women and young people – and sets North Carolina Democrats up for a strong and growing base. WHAT IS GOING ON WITH TRUDY WADE? Hours later, Wade tried to walk back her concession by attacking Garrettwithout ever clarifying her first statement. NCDP reacted, asking what’s going on here? Have a great weekend from one very tired campaign team!